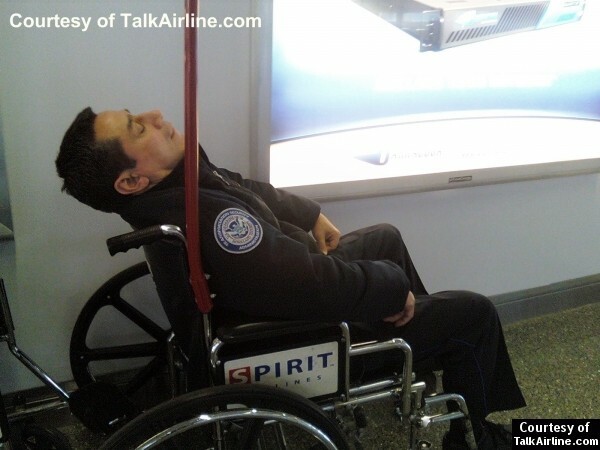 Obviously, since 9/11 our nation’s airports have been on high alert. There are so many rules and regulations saying what a passenger can and cannot take through an airport security checkpoint, but we can’t know everything. Sometimes there are exemptions to these rules, but who really knows what’s getting through those X-ray machines? I once read a story about a guy who was making fake boarding passes and using fake IDs to get past TSA – those entrusted with keeping our planes, trains, and automobiles safe – just to make the point that it’s not security, but security theater that we experience when traveling. When a TSA agent asked him why he had two full-sized contact lens solution bottles in his bag he responded with, “Two eyes,” and he was allowed to proceed with both. Had he been planning shenanigans then he would have had a free pass. Part of TSA’s job is to notice any suspicious behavior. I imagine they are trained to do this, though how extensive the training is I cannot say. Noticing suspicious behavior is also part of my job, only to a lesser degree. My training is presumably not nearly as extensive as TSA’s, but I do know that in order to notice suspicious behavior one must look at people. I don’t know how many times I’ve walked up to a security checkpoint in uniform only to have an “agent” ask me if I have liquids in my bags or ask me to take my shoes off before passing through the metal detector. I know that if they cannot discern that I am a uniformed crewmember (and therefore exempt from liquid/shoe rules), that they are not on the lookout for anything suspicious. I also had a couple friends tell me about the time a TSA agent let a man through the security checkpoint when the name on his ID did not match the name on his boarding pass. This was not a simple misspelling or omission of a middle initial, but two different names . . . like Terry Tate and Ndamukong Suh (who, by the way, should win the Heisman Trophy). This security breach occurred in Dulles – a very major airport. Thanks for keeping me safe, TSA. I hate you.